Rajat Kapoor is back on stage and this time it’s in the Silicon City of India; Bangalore. He presents one of William Shakespeare’s greatest tragedies with a comic twist- with the introduction of clowning. 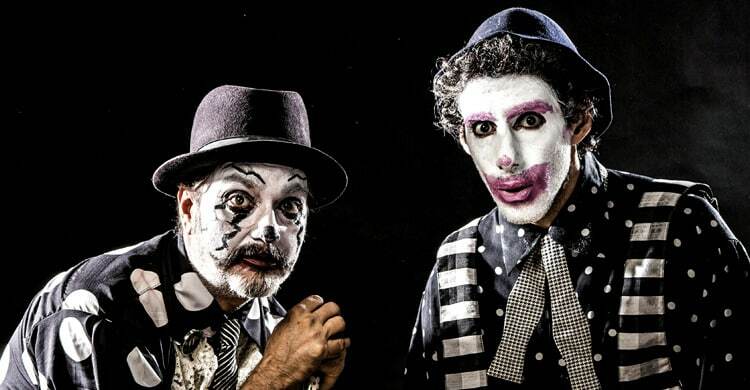 This unique initiative sees Rajat Kapoor doing theatre with a cause. The seasoned actor joins hands with Sightsavers, a development organisation that works to eliminate avoidable blindness and promotes equal opportunities for disabled people. Her Highness Sheikha Arwa Al Qassimi, in aid of Sightsavers, presents a Cinematograph production, Macbeth – ‘What is Done is Done!’; a comic adaptation of William Shakespeare’s Macbeth. The clowns enter the Shakespearean play, albeit in their own red-nosed way. Her Highness Sheikha Arwa Al Qassimi belongs to the Royal Family of Ras Al Khaimah from Sharjah. But this is not the first time that her philanthropic nature is reflected. Driven by her affectionate heart she has come to the aid of many social change organizations, helping them to change lives of many. The righteous man, Macky B is a good human, a brave soldier and a loyal friend. Had Macky B not met the three weird sisters, perhaps he would have remained that certain way. As a matter of fact, he would have been happier. There must be a reason for why we do not know our future, why it remains a mystery to us. Sometimes, all you need is a little push- a push that will get you to the Dark Side. Something similar happens to Macky B and thus, he falls! This 100-minute play, directed by Rajat Kapoor, stars some brilliant artists such as Ranvir Shorey, Kalki Koechlin and Vinay Pathak. The characters are a knockabout and they have converted the tragic character of Macbeth into Macky B.